The key to happiness is the one you loved always be by your side. • Chain measures 24 inches (609.6mm). • Email us your favorite picture. Fantastic item! Quick shipping, excellent communication and customer service. Fantastic item! Quick shipping, excellent communication and customer service by seller. 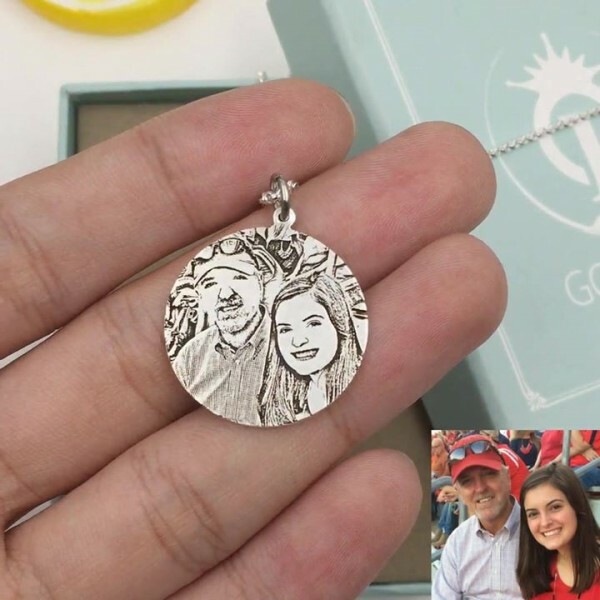 She was patient and understanding with my questions and I absolutely love this personalized and meaningful necklace. I would highly recommend this company and will definitely be using her again for gifts in the future! Great quality! Shipping was quick too! Perfect! Wonderful way to remember my Dad. Question about Key to Happiness Necklace is Successfully Submitted.